MLB left fielder who was considered one of the finest defensive outfielders of his era. He led the National League in batting with a .335 average in 1918. The bulk of his career was spent with the Brooklyn Dodgers. He played in several semi-pro leagues in the Southeast before signing with the Dodgers. He had size five feet, which led to several ankle injuries that forced him to miss a lot of games during his career. His brother Mack was a catcher for the MLB. He married Daisy Wheat in 1912. 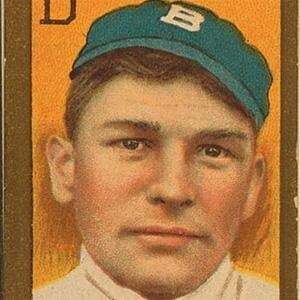 He played against the Boston Red Sox in the 1916 World Series, when Babe Ruth was starring as a pitcher.